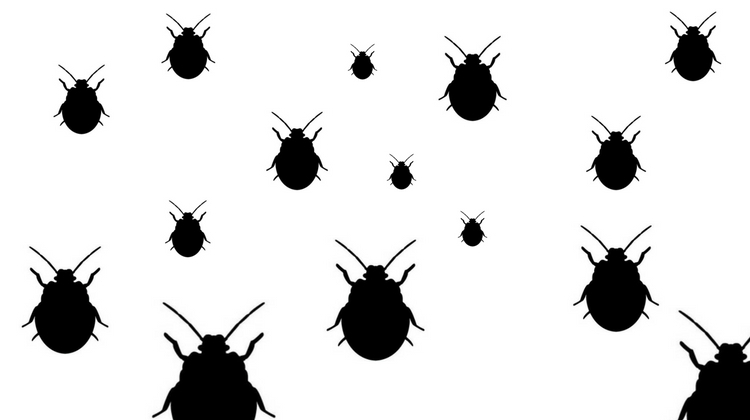 ​In this article, we short-list the top bed bug sprays that are currently on the market. Our aim is to provide you with the essential information needed to decide which is the best bed bug spray for your needs. As bed bug infestations are on the rise, individuals tend to purchase inexpensive treatments that claim to rid the bed bugs without doing any thorough investigation of the product only to have to buy additional treatments to try to combat the issue. However, the cost of a product is little to no indication of how effective it is in getting rid of bed bugs. It is difficult to find a bed bug product that fits your needs and it can become a hassle to have to scroll through lots of reviews that contain none of the information you are searching for. We have compiled a list of the best bed bug spray reviews so that you can find an effective treatment that suits your needs almost effortlessly. How To Find The Best Bug Killer Spray? Bed Bug Killer by EcoRaider has been proven to be effective by a study of home treatments for bed bugs done at Rutgers University. After 10 days, this product was the only one tested that had a 100% mortality rate. This efficient product is affordable, retailing for under $25, as well as safe to use near any person, pet, fish, or bird. After two weeks of dry residual, this treatment continues to work effectively, causing a 97.5% mortality rate. 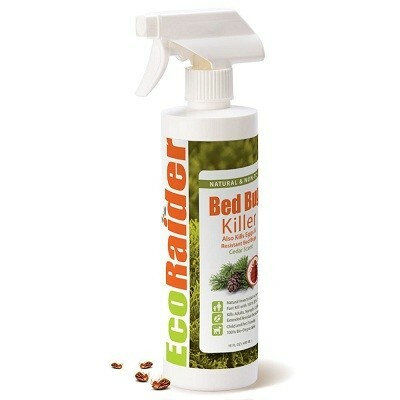 The EPA has categorized Bed Bug Killer by EcoRaider as a minimum risk pest control product. The Entomological Society of America has also named this product as a very effective Bio-Insecticide against bed bugs in a study that was published, which is pretty impressive. On Amazon.com, several customers rave about this product, but they insist on using it in combination with diatomaceous earth. A customer said that she loves the fact that the spray kills bed bugs on contact, but also leaves a residue that kills any remaining bed bugs. One customer stated that he sprayed the product on furniture and it did not cause any staining or damages. He also stated that while there was a pine odor when spraying the product, the odor does not smell bad and it goes away fairly quick. Bed Bug Killer by Eco Defense is an affordable, natural way to get rid of bed bugs lingering in your house. It claims to terminate bed bugs in all stages of life whether it is an egg, nymph, or adult. Because this product is formulated with natural, organic, and non-toxic ingredients, you will not need to worry about scents or any hazardous chemicals harming you or your family. This easy-to-use product is not only child-friendly but pet-friendly as well. 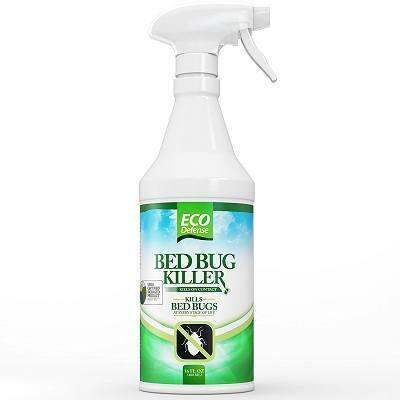 Eco Defense claims that their Bed Bug Killer gets rid of bugs quicker than any other product designed to eliminate bed bugs. They back up this claim by providing a 60-day money back guarantee with no questions asked if you are not in love with this product. 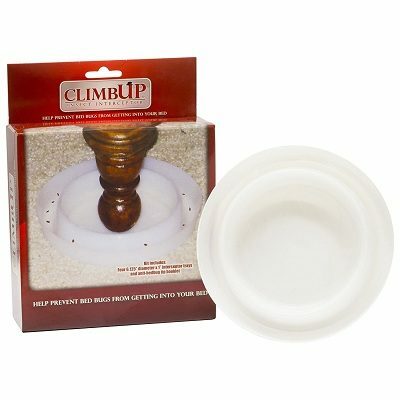 Climbup Insect Interceptor Bed Bug Trap comes with 4 traps that are made in the USA and are nearly impossible for bed bugs to get out of. The center well is 4.25 inch diameter wide, therefore big enough to fit the bed legs. Since is has a dual-well design, the pesticide-free traps can reveal which direction the bed bugs are crawling from. It can also help you decide if a piece of furniture is still infested with bed bugs after the use of a treatment or spray. The company recommends adding talc powder to the wells in order to ensure that they remain stuck inside the wells. On Amazon.com, customers recommend adding diatomaceous earth as it will kill the bed bugs the more they move inside the well. Customers adore the fact that this product can help them determine whether or not they have an infestation after a treatment. One customer uses them despite the fact he has gotten rid of bed bugs so that he can always be aware if they come back. 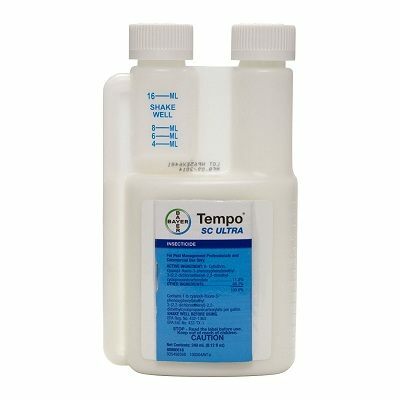 Tempo Ultra SC is a concentrate designed to eliminate bed bugs as well as over 100 different types of pests. This product is easy to use and not messy to work with, as well as safe around children and pets once it has dried. Unlike other treatments, this product's active ingredient is beta-cyfluthrin, which is odorless, non-staining, and provides up to 3 months of effectivity. While this product is more expensive than the other bed bug killers, 240 mL (8 fl oz) of concentrate can make up to 30 gallons of completed solution which can treat up to 30,000 sq. ft. space. On Amazon.com, one customer stated that she loves the fact that this product can be used on any surface without damaging it as she had found a few bed bugs in her bed and worried that they were traveling throughout her house as she kept getting bitten. After she sprayed and vacuumed daily for a week, she has yet to neither see any bed bugs nor have any bites. If you have pets or children, you might want to opt for a spray that is both pet-friendly and child-friendly. While this type of product may cost more than others, it is well worth it to know that your pet and child cannot be harmed if they are in contact with the product being used. Some people have strong reactions to certain smells. Most bed bug killer sprays that are sold in stores have strong odors that linger for awhile after being spray. If you are or someone in your family is allergic to scented products, it might be best to purchase a scentless or weakly scented spray. Make sure that the product you purchase is designed to be used on the area you are planning on spraying. Nothing is worse than buying a product that is not meant to be used somewhere, only to have it ruin the area more. Check the labeling to see if it can be used on a surface, such as a carpet, and follow the directions prior to spraying the entire intended area. If the package says to test a portion of carpet to see if it will damage the color or quality, always make sure to do so as it will only prevent you from accidentally ruining your carpet. Not all bed bug products are safe to use on mattresses. If you are looking for a product to kill bed bugs on a mattress, double-check to ensure that it is designed for that purpose. Chemical free products are safe for your most loved mattresses, but some individuals may not feel like they work as effectively as other treatments. While some effective products are more expensive than others, it is worth it to create a budget designated to combating bed bugs. Bed bug sprays are a cheaper alternative to a treatment by a professional, which would likely cost thousands of dollars for an entire home depending on the size. Out of all the bed bug spray reviews, Bed Bug Killer by EcoRaider is the best overall spray as it has proven results from an unbiased study. EcoRaider is more affordable than Tempo Ultra SC. Like the others, it is safe to be used around children and pets. The scent is more bearable than Eco Defense Bed Bug Killer.